Apple’s iTunes offers over 28 million songs, more than 1 million podcasts, and a bunch of TV shows, movies, music videos, and audiobooks. It’s all a part of Apple’s seamless ecosystem, but what happens if you want to leave the walled garden? Do you have to leave all your entertainment behind? We all know that Apple and Google don’t play nice in the marketplace, but what does that mean for people with a big iTunes collection and an Android device? Don’t worry. There are ways to get your iTunes content onto your Android tablet or smartphone. We’re going to outline some methods you might try and suggest a couple of apps that can help. To begin, you’ll need to work out what’s important to you. Do you just want to move the content out of iTunes and make it available for your Android device, or do you want to continue to use iTunes and be able to sync content to your Android phone? Are you just going after music files or do you want a solution for movies too? Do you have older DRM protected files? How dirty are you prepared to get those hands? Up until 2009, Apple sold DRM protected music files through iTunes, which means they will only work on an iOS device. If your song is labeled “Protected” in iTunes then it falls under this banner. You’ll also find that movies and TV episodes are still DRM protected. Best iTunes media converter, convert iTunes movies and msuic to Android playback foramt with siple clicks. Acrok M4VGO is an all-around video program which helps you to convert videos and audios in all popular formats like AVI, MKV, WMV, MP4, FLV, 3GP, MOV, MP3, M4R and more, convert purchased media file including iTunes music and videos, Amazon video files, protected files in M4P, M4V, M4A, M4B, ASF etc. The software fully supports portable devices like iPad Air, iPad Mini, Xperia Z Ultra, Galaxy S5, Galaxy S4, Iconia tablet, Kindle Fire HDX, PlayStaiton 4, HTC One, Xbox One, LG G Pad, LG G2, MoTo X, Galay Note 3, Galaxy Tab Pro, Gaalxy Note Pro, etc. 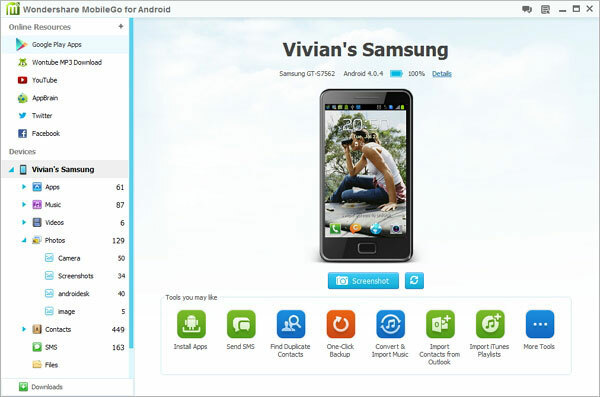 As one-stop Android manager, MobileGo for Android can help you manage your Android videos, music, photos, contacts, SMS, apps, and more effectively on your PC. In typical Apple style you can “upgrade” old DRM protected songs to remove the restrictions, but they’ll charge you 30 cents per song to do it. If you’re willing to pay that amount, then look for the Upgrade to iTunes Plus option under Quick Links in the iTunes store. There’s no option to do this for movies or TV shows. If you have a lot of tracks in this category then the iTunes Match service might be more cost effective at $25. It will also upgrade your songs to DRM free status. You can always find software to convert your iTunes files. There are a lot of options out there. You might try something like Tunebite or Aimersoft DRM Media Converter. There is also a popular free option called Requiem, which is designed specifically to remove DRM protection from iTunes files. Just make sure you get the right version to match your iTunes version. We’ll take a look at how to play iTunes music on your Android device now, but remember that none of the following methods will allow you to copy or sync those DRM protected files. Simple, but tedious, the manual move is a straightforward method if you just want a few choice tracks. Connect your Android phone and select USB Mass Storage Mode from the Notifications drop down on your phone or the pop-up menu on your computer. This method varies from device to device and it could be labeled differently on yours. Once you’ve found it, you should be able to go to Computer on your PC and see your device listed. Browse to the Music folder on your Android and then you can select files directly from iTunes and press “Ctrl+C” to copy them and then “Ctrl+V” to paste them into the folder on your phone or tablet. If you’re on a Mac, get the official Android File Transfer tool to move files. Another option is Google Music. You can move your iTunes music into your Google Music account in the cloud and then you’ll be able to access it anywhere with any Android device or on the Web. You’ll need to sign into Google Music, download the Music Manager, and install it. When it is installed and starts up, it will ask where you store your music and you’ll see an iTunes option. Select iTunes, hit Next, and then choose “Upload all songs and playlists,” or you can select individual playlists. You can also tick the box to include podcasts if you value those. There’s even an option to automatically upload songs that you add to iTunes in future. To access your songs on your Android device you just need the Google Play Music app. With it, you can stream all your songs from Google Music in the cloud over Wi-Fi or your mobile network. You also have the option to make songs available offline by downloading them to the device. DoubleTwist is designed to give you a central repository for all of your music, photos, and videos. It’s very simple to use. Start by downloading the desktop and Android versions of the software from the DoubleTwist website. Fire up the software on your computer and allow it to import your iTunes content. You can import your playlists, ratings, music and videos from iTunes. You can then sync your content to your smartphone or tablet via USB. You can splash out $5 to get AirSync which will enable you to sync your content over Wi-Fi. You can sync music, including ratings, play counts, playlists, videos, and photos between your Mac/PC and your Android device. You can also pay $5 for the Music Lover upgrade if you want a premium equalizer and album artwork. If DoubleTwist doesn’t serve your needs, for $4, you can get iSyncr. It works directly with iTunes and syncs your music to your Android device via USB or Wi-Fi. You can also sync playlists, artwork, ratings, play counts, skip counts, last played date, and last skipped date. The service goes both ways so you can also sync any new MP3s on your Android to your iTunes library. You’ll want to use iSyncr with a decent Android media player app. We suggest Rocket Music Player. The free version is good, but the premium version is only $4 and it adds some great extras, like an expanded EQ and support for more formats from ALAC to FLAC, and even WMA and WAV. So there you have it, a few ideas on how to play iTunes content on your Android. We hope one of them worked for you. If you run into any problems or you have another solution you want to recommend then please share. Now, you can get iTunes on Android tablet freely.